Accounting professionals work with individuals and companies of all sizes, but you might want to think about the jobs available with an MBA in Accounting before enrolling in a degree program. Many of these programs are only open to those who have an undergraduate degree in business or accounting, and if you don’t have a strong background in those fields, you may need to take additional courses before beginning the MBA program. While MBA holders earn more than those with other types of business degrees make, you need to decide if an accounting concentration is better for you than a concentration in finance or another field. Every state in the country requires that those interested in working as a Certified Public Accountant take the CPA examination before practicing. Prior to taking that test, you must meet the requirements in your state. Most states ask that you have a certain number of credit hours of work before sitting for the test. You can only gain the necessary number of hours through a combination of graduate and undergraduate courses. According to the Bureau of Labor Statistics, accountants make a median wage of more than $63,000 a year. Those with CPA certification can make even more. You don’t need a finance degree to seek employment as a finance planner. Many of those working in the field have a graduate degree in accounting or an MBA with an accounting concentration. Financial planners help clients plan for their futures. They look at how much a client needs to retire, the type of investments and plans the client made and suggests new ways of making money. Financial planners may also make investments for their clients or work with an investment firm to purchase the products their clients need. Many accounting jobs today involve some knowledge and familiarity with federal and state taxes. Tax preparation specialists are just one of the types of jobs available with an MBA in accounting. 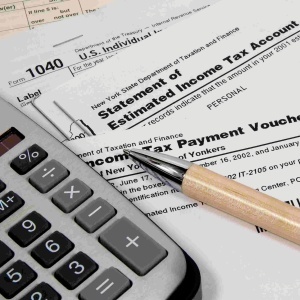 You must know the ins and outs of different tax forms, have experience filing taxes on the behalf of a specific person or filing business taxes and the ability to work during the busy tax season, which runs from January through April. You’ll also find that you need to assist your clients during the off-season with filing quarterly taxes. Tax preparation specialists help clients file the laws in place and get their taxes filed on time. Looking for jobs available with an MBA in Accounting that offer more flexibility? If you dislike the idea of spending all day in an office setting, consider working as an accounting consultant. Consultants set their own hours and work from their homes or their own offices. When companies and individuals need help with accounting problems, they bring in consultants. You can set your own hours, work when you want and take time off when you need. Consultants even have the chance to turn down jobs and only work with certain clients. Students today have the option of enrolling in a graduate program in accounting or an MBA program with a concentration on accounting. Before choosing a program, they need to look closely at the types of jobs available with an MBA in Accounting or another accounting degree to decide which degree fits best with their future plans.